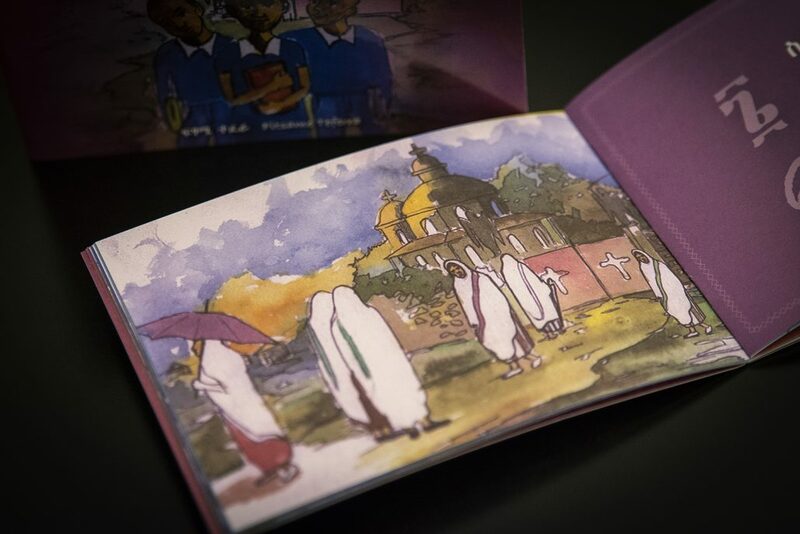 Original edition published by Habte Books, Addis Abeba (ISBN: 978 0979 6271-6-3). Copyright Fitsame Teferra. 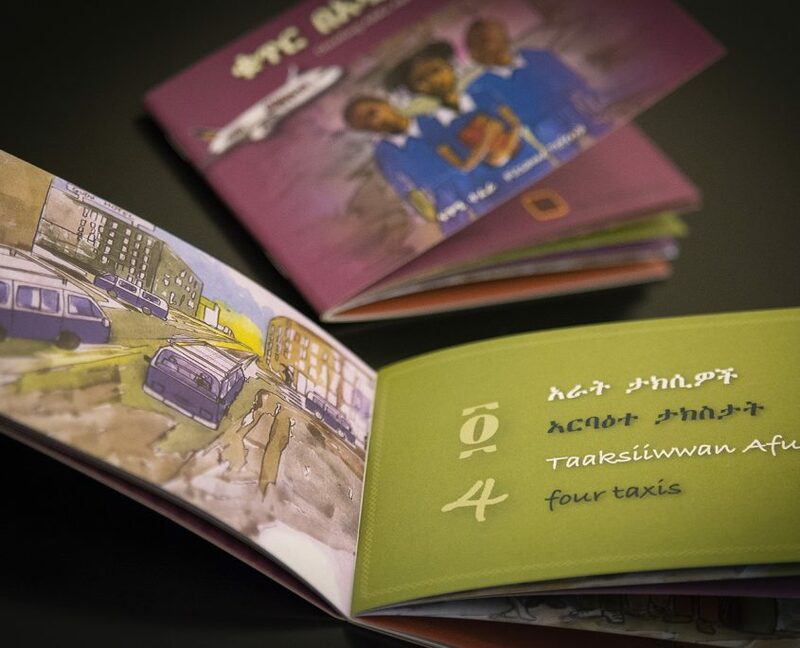 (English, Amharic and Afaan Oromo). 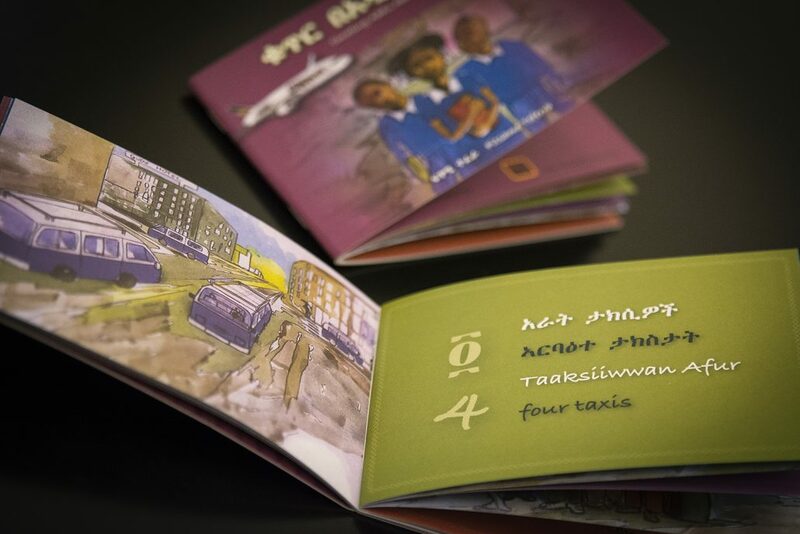 Published in a new layout and also translated into Tigrinya in the Art of Buna 2017 edition. 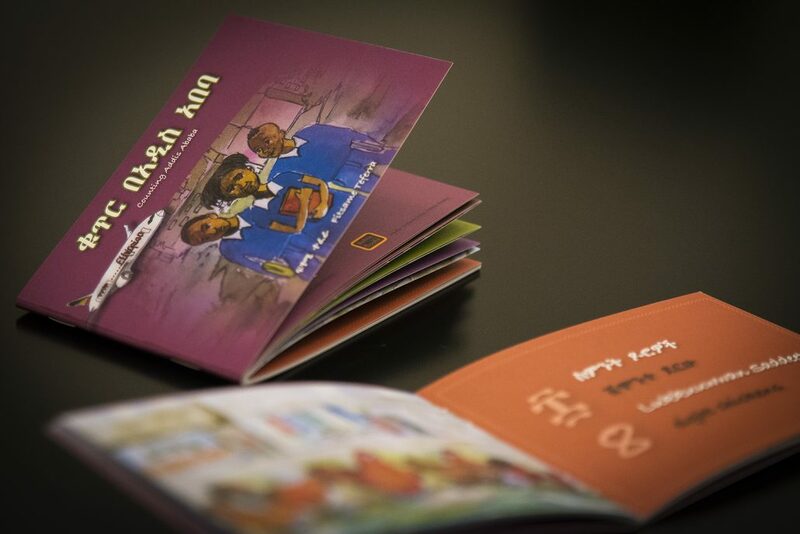 To be distributed free of charge to schools, libraries and orphanages in Ethiopia. First edition – 2,500 copies. (Amharic, Afaan Oromo, Tigrinya and English). 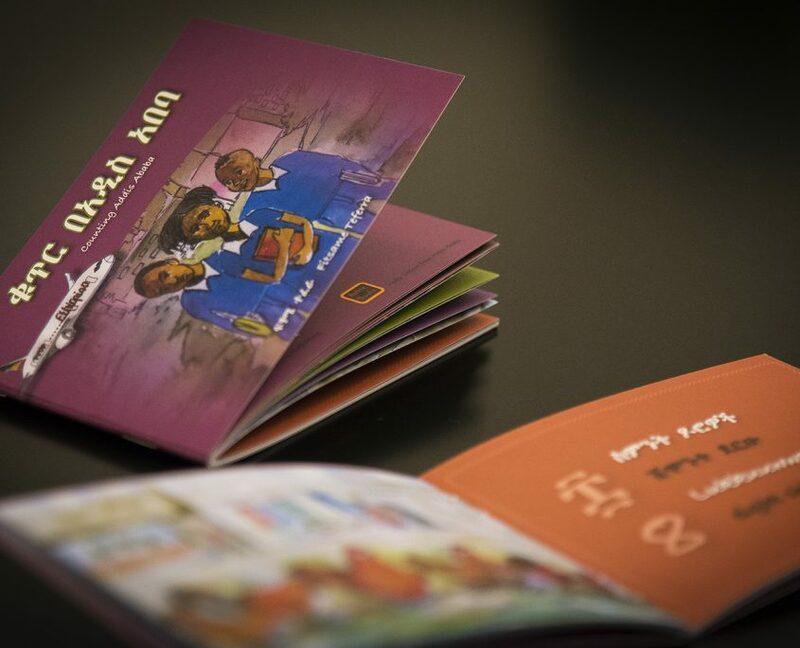 The book uses a playful style to teach the reader to count from one to ten in the following languages – Amharic, Afaan Oromo, Tigrinya and English. 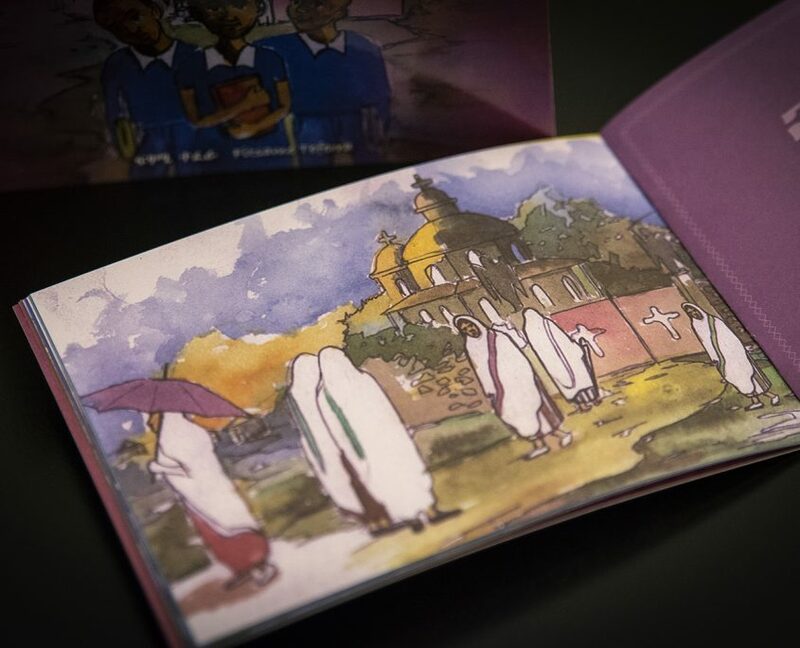 Its enchanting illustrations by Anteneh Fisseha give us a picture of everyday life in Ethiopia’s capital city, Addis Abeba.